Uncategories Bird stamps from Czech Republic. The Czech Republic is a landlocked country in Central Europe. 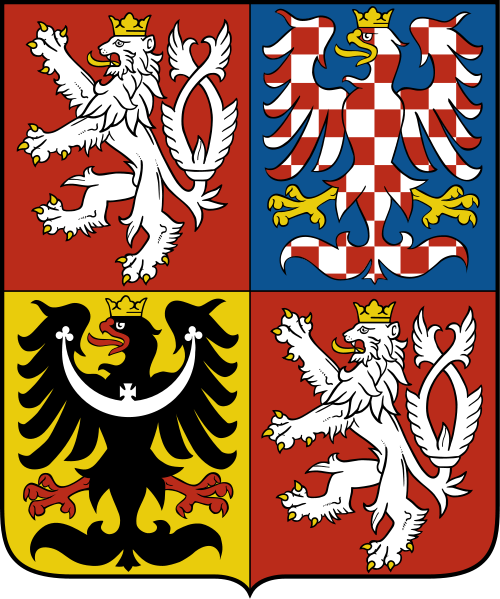 The country is bordered by Germany to the west, Austria to the south, Slovakia to the east and Poland to the north. Its capital and largest city, with 1.3 million inhabitants, is Prague. The Czech Republic includes the historical territories of Bohemia and Moravia and a small part of Silesia. The Czech state, formerly known as Bohemia, was formed in the late 9th century as a small duchy around Prague, at that time under the dominance of the powerful Great Moravian Empire. After the fall of the Empire in 907, the centre of power was transferred from Moravia to Bohemia, under the Přemyslids. Since 1002 it was formally recognized as part of the Holy Roman Empire. In 1212 the duchy was raised to a kingdom and during the rule of Přemyslid dukes/kings and their successors, the Luxembourgs, the country reached its greatest territorial extent (13th–14th century). During the Hussite wars the kingdom faced economic embargoes and crusades from all over Europe. Following the Battle of Mohács in 1526, the Kingdom of Bohemia was gradually integrated into the Habsburg monarchy as one of its three principal parts, alongside the Archduchy of Austria and the Kingdom of Hungary. The Bohemian Revolt (1618–20) lost in the Battle of White Mountain, led to Thirty Years War and further centralization of the monarchy including forced recatholization and Germanization. With the dissolution of the Holy Roman Empire in 1806, the Bohemian kingdom became part of the Austrian Empire. In the 19th century the Czech lands became the industrial powerhouse of the monarchy and the core of the Republic of Czechoslovakia which was formed in 1918, following the collapse of the Austro-Hungarian Empire after World War I. After 1933, Czechoslovakia remained the only democracy in central and eastern Europe. After the Munich Agreement, Polish annexation of Zaolzie and German occupation of Czechoslovakia and the consequent disillusion with the Western response and gratitude for the liberation of the major portion of Czechoslovakia by the Red Army, the Communist Party of Czechoslovakia won the majority in the 1946 elections. In the 1948 coup d'état, Czechoslovakia became a communist-ruled state. In 1968, the increasing dissatisfaction culminated in attempts to reform the communist regime. Cyprus is a major tourist destination in the Mediterranean. An advanced, high-income economy with a very high Human Development Index, the Republic of Cyprus was a founding member of the Non-Aligned Movement until it joined the European Union on 1 May 2004.